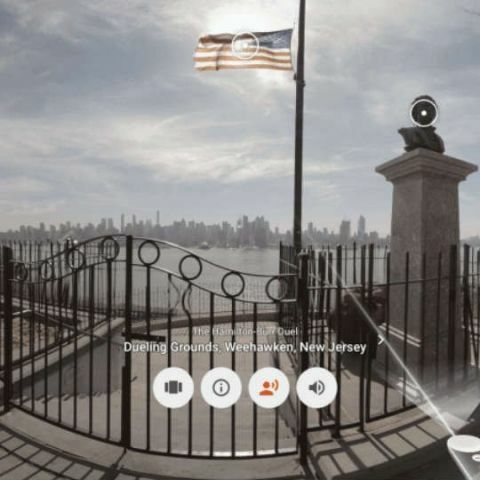 Google has announced that it is making its Expeditions app accessible to everyone. The app is available on Android and iOS and will allow users to explore over 600 different tours by themselves in VR via Google Cardboard headsets. The Expeditions app also works on Daydream-ready phones, for a more immersive experience. Google has today opened the Expeditions app to every user with an all-new solo mode. Using this mode, they can explore over 600 different tours on their own. All that users need to do is download the Expeditions app (for Android, or iOS), drop their phone into Cardboard, and get ready for an adventure! For the past two years, Google’s Expedition app has only been available for teachers as a tool to extend learning inside the classroom, helping students to see and experience the world in new ways, visit college campuses, gain exposure to new career paths and role models, and learn about various social impact initiatives happening around the globe. With the new update, users can either take these tours as an explorer or a guide. As an explorer users can experience the tour on their own, where they can view more detailed information on various points of interest within the experience. The Guide mode continues to exist, where teachers can preview a tour before embarking with their students on a virtual journey. Expeditions also works on Daydream-ready phones, enabling an even more immersive and engaging experience. Users can now take a tour of the Seven Modern Wonders of the World, or dive into the beautiful and fragile Great Barrier Reef, or see take in the splendour of the Taj Mahal like never before. Wherever you choose to go, there’ll be something amazing to see. Best VR Headset below Rs.2500? How TRUECALLER app works ? How they fetch all the telecom data to their database ? best gaming console ....till now.....? ?